The world wilted a little bit after learning that price-gouging pharmaceutical executive and human cesspool Martin Shkreli bought an impossibly rare Wu-Tang album for $2 million. But guess what. 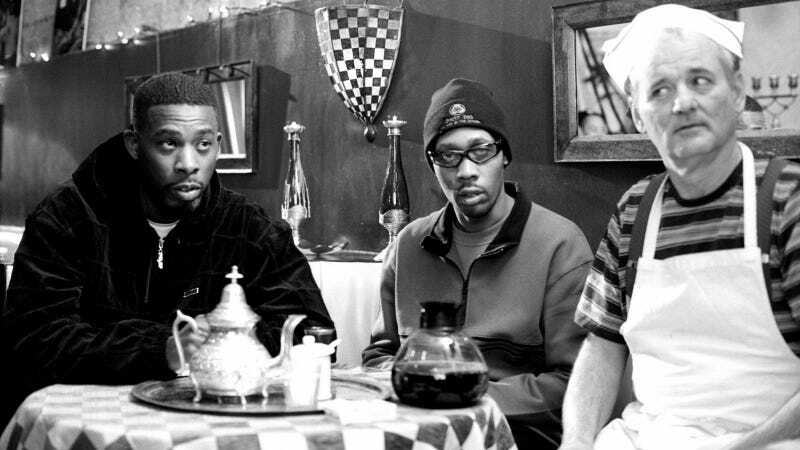 Wu-Tang reportedly wrote a brilliant clause into the sales contract that would enable them to get it back. The buying party also agrees that, at any time during the stipulated 88 year period, the seller may legally plan and attempt to execute one (1) heist or caper to steal back Once Upon A Time In Shaolin, which, if successful, would return all ownership rights to the seller. Said heist or caper can only be undertaken by currently active members of the Wu-Tang Clan and/or actor Bill Murray, with no legal repercussions. Correction 12:00pm: Upon closer inspection, it’s seems quite likely that the guy who tweeted the clause is making a very funny joke. He got us—and a bunch of other publications. I’ve updated the post and removed the word “legally” from the headline in order to acknowledge the extent to which this is most definitely not true, and I will live in shame for the next 88 years. In the off chance, that it’s not a joke, it’s still Bill Murray’s move.